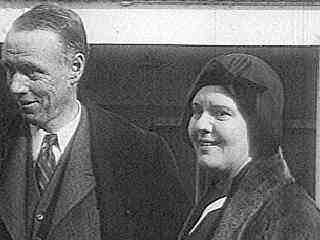 Fred and Ethel Lindbergh owned a bean farm along Harbor Drive. Two fields actually; one Chickpea and the other Garbanzo. To make ends meet, the Lindberghs sometimes had to sell off a piece of land. One of the last was to become the home of The Tampa Auto-Drome. One of the first pieces to be sold however would forever change the family's history. The Lindbergh's youngest son Charles spent many hours each day watching the Ryan planes being built and watching the planes take off and land. He finally talked Ryan into some flight training during lunch breaks, and quickly "earned his wings." Charles later got a job flying FedEx mail, and went on to co-pilot the first non-stop seaplane flight to Paris with Edward Plant in a plane built by Ryan: "The Spirit of Tampa." Tampa Hysterical Society home page.